No matter what the Blue Jays do with Aaron Sanchez, they’re damned if they do and they’re damned if they don’t. If the Blue Jays take Sanchez out of the rotation and move him to the bullpen (which they’re likely doing), the organization will face the backlash of removing a pitcher having a Cy Young-calibre season from the rotation. If the Blue Jays don’t move Aaron Sanchez to the bullpen, they’ll be pelted with scrutiny about how the team is going to blow out Sanchez’ arm and they’re being reckless with one of the club’s most promising pitchers. It really is a no-win scenario for the Blue Jays … but they had to do something. The decision is to transition Aaron Sanchez from the starting rotation into the bullpen. Maybe not right away, but soon. I don’t think I’ve seen such a polarizing topic surrounding the Blue Jays; not just among the fan base, but the people who cover this team, medical professionals, and even just casual observers of the Jays. Everybody’s talking about what’s going on with Aaron Sanchez. I myself have swayed back and forth on the issue in recent weeks; at first, I just assumed it was inevitable that Sanchez was going to the bullpen. But then, he kept pitching really well, and I wondered whether the Jays might just let Sanchez run wild and be damned with the innings count. But after much consideration, I think I’ve come full circle of the Aaron Sanchez situation, in that the Blue Jays are doing the right thing by transitioning him into a reliever for the remainder of the season. This particular situation is so difficult to gauge because the Blue Jays are trying to do two things here; they want to win a World Series this year, but they also want to keep Aaron Sanchez healthy and have him be one of the anchors of this pitching staff for many years to come. If the Blue Jays were playing the 2016 season in a vacuum, then of course they’d let Sanchez ride out the season and pitch infinity innings and laugh in the face of conventional wisdom when it comes to innings counts. But that’s simply not the case, and the Blue Jays don’t want to risk the present as well as the future. Even Ross Atkins told TSN 1050 yesterday, “there’s not data either way” which suggests the Blue Jays are limiting any injury potential by moving Aar0n Sanchez to the bullpen. There are no absolutes in this situation which say “once pitcher throws X innings, they must be shut down, or they’ll need Tommy John surgery. The Verducci Effect has been debunked to a certain extent, but teams are more cognizant now than ever before when it comes to protecting their pitchers. While there isn’t a set-in-stone benchmark for pitchers to avoid surpassing, there is conventional wisdom; which says increasing innings by a significant amount year-over-year is risky. Will moving Aaron Sanchez to the bullpen for the final third of the regular season be any less taxing on his arm? It might not be, heck … being a reliever could place even more wear and tear on Sanchez’ arm. But for a team hoping to get to the World Series, it’s hardly the time to risk the long-term development of Aaron Sanchez. This is not the right time for the Blue Jays to stand up on a hill and defy convention by pitching Aaron Sanchez in the rotation until his arm falls off. While it would be wonderful to see the Blue Jays take that stance on pitch counts and innings limits, that stance has much more of chance to do harm than good. If Aaron Sanchez isn’t having the season he’s having and the Blue Jays were still in contention, this wouldn’t even be a debate; Sanchez would transition to the bullpen without hardly any backlash at all. When the Blue Jays made the decision back in Spring Training to place Aaron Sanchez into the starting rotation, don’t you think the coaches and front office staff went over this very same scenario way back in March? Which leads us to believe this was the plan all along for Sanchez, regardless of how well or poor he performed in the starting rotation season. Admittedly, there’s a lack of hard data there to prevent Aaron Sanchez from going the distance in the starting rotation, but there’s far more evidence and even simple logic suggesting the Blue Jays are putting Sanchez at risk by keeping him status quo as a starter. Pushing Aaron Sanchez well beyond his career high of innings pitched (which is just over 100 IP) by potentially doubling his innings seems like a recipe for disaster. Sanchez is susceptible to injury regardless of whether he’s in the rotation or the bullpen. Heaven forbid Aaron Sanchez does injure himself, there will be no way to officially declare what the cause will be. So the Blue Jays simply have to go with their intuition. It comes down to this; you have to trust what the Blue Jays are doing here with Aaron Sanchez. You have to trust their High Performance Department probably has some intel which factored into this decision. The organization would not have come to this decision unless they were looking out for the player’s best interest. This isn’t a decision that’s going to sit well with a lot of people; it probably isn’t going to be well-received by the clubhouse and Sanchez himself will likely be a little disappointed, but this is the right call by the Blue Jays. 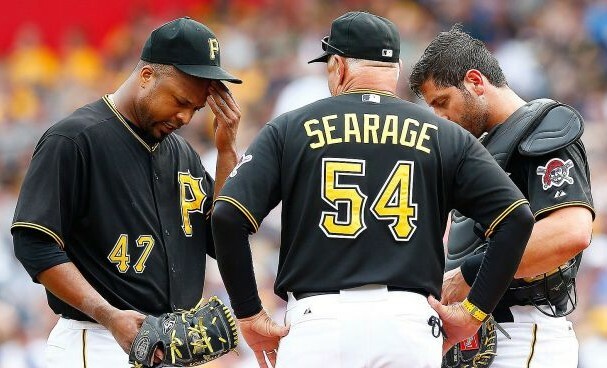 Were the Pirates Motivated to Move Liriano Due to a Spat with Searage? what is this far more evidence you have? there is none. running 5k this year doesn’t mean I can’t run 10k next year otherwise my legs will fall off. It’s just fear mongering. they don’t want to have egg on their face if he gets injured. How many young guns had TJ surgery after having a break out year? Does the name Strasburg ring a bell? His arm will have so much pressure put on it that exploding the innings pitched without working up to it will have the Jays brass crying by year’s end. The nice thing is that the long debate over whether Sanchez should be taken out of the rotation has gone on for over a month with numerous baseball people providing their two cents worth. They have included team mates, ex-GMs, ex-players, television and radio commentators. Almost all of them have concluded that he should stay in the rotation, innings be damned. Only Pat Hentgen supports an inning limit that I know of. 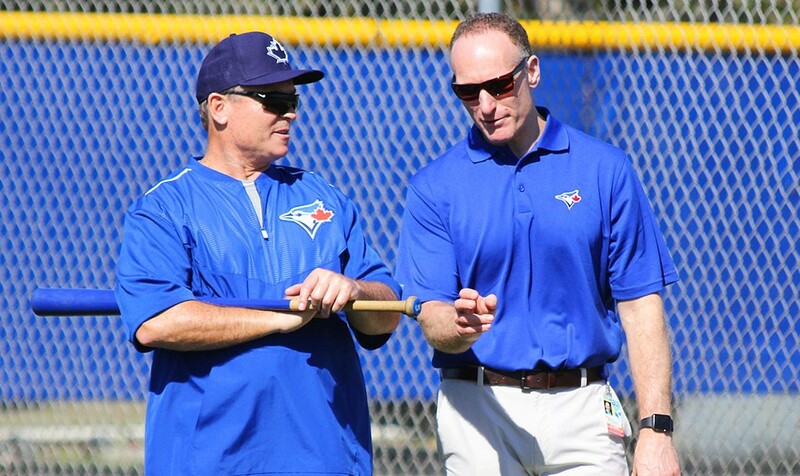 Jays brass has been criticized repeatedly for an innings limit. If they let him stay in the rotation and he blows his arms they can say that they were overwhelmed by the criticism and that there is no evidence that an inning limit would prevent injury. If they leave him in the rotation and nothing happens to his arm and the Jays go to the WS they can point to their change in the innings limit. If they pull him from the rotation and the Jays miss the playoffs they will wear that blame for a long time. They can now leave him in the rotation and let the “experts” take all the blame. I hope he stays in the rotation.